Liverpool boss Jurgen Klopp is not prepared to be drawn into the debate surrounding Mario Gotze's form and a suggested switch to Anfield. The German attacker enjoyed the best form of his career under Klopp at Borussia Dortmund before moving to Bayern Munich, where he failed to make his mark. He headed back to Dortmund in 2016 as he looked to get his career back on track, but good form has continued to elude Gotze and he has made just two appearances for the Ruhr giants this season. Former Dortmund star Kevin Grosskreutz has urged Gotze to leave Germany and suggested that Liverpool would be perfect for the 26-year-old. But Klopp is not prepared to enter the debate and says if he has something to tell Gotze he will call him. Asked about Grosskreutz's comments, Klopp replied: "I have absolutely nothing that I want to talk about in a press conference in a game before Chelsea. "If I have to say something to Mario then I'll call him. 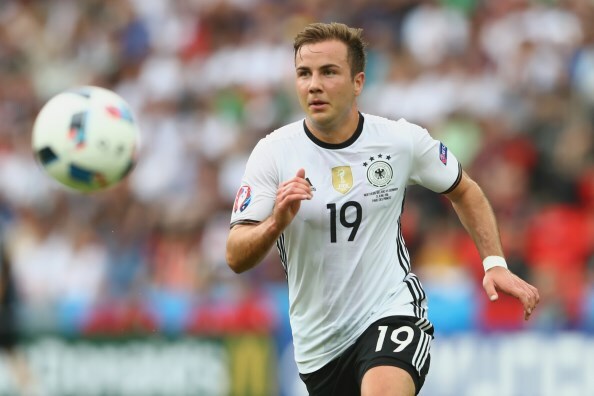 Gotze scored the winning goal in the 2014 World Cup final, but now needs to revive his career and it remains to be seen if Klopp is prepared to throw him a lifeline.